SONNE-International has proved a reliable, trustworthy partner of charitable foundations. We can look back on successful and long-standing partnerships with foundations like the Else Kröner-Fresenius Foundation, the foundation Zuversicht für Kinder (Confidence for Children) or the foundation Schöck-Familien-Stiftung. Through these co-operations we have been able to implement a large number of projects and to provide efficient and sustainable support to countless people. Foundations have the possibility to support SONNE-International in general, i.e. to provide us with uncommitted funds so that we can use the money wherever it is required most urgently. The advantage for the foundation is that the length and extent of the support can be chosen individually and flexibly. For SONNE-International, uncommitted funds sometimes constitute the starting point for initiating new projects, but more often they provide the basis for the prolongation or extension of already existing, successful projects that would have to be stopped if the necessary funds could not be raised. Long-term support is vital as it ensures planning reliability and sustainable improvements. In this case a foundation’s contribution serves a well-defined, concrete purpose or project. The foundation either finances a project in its entirety, thus rendering ist implementation feasible in the first place, or it co-finances a project. This approach is individual and flexible: you can exert influence on the project and its implementation, project visiting trips can be arranged, you will be able to shape and control the progress of the project etc. Transparency and trust have top priority for us. Thanks to the partnership with the Else Kröner-Fresenius Foundation we have been able to continue and extend our mobile health care project in the districts of Awra, Uwwa, Chiffra (Afar one 4), Gewaane and Gala’alu (Afar zone 1). 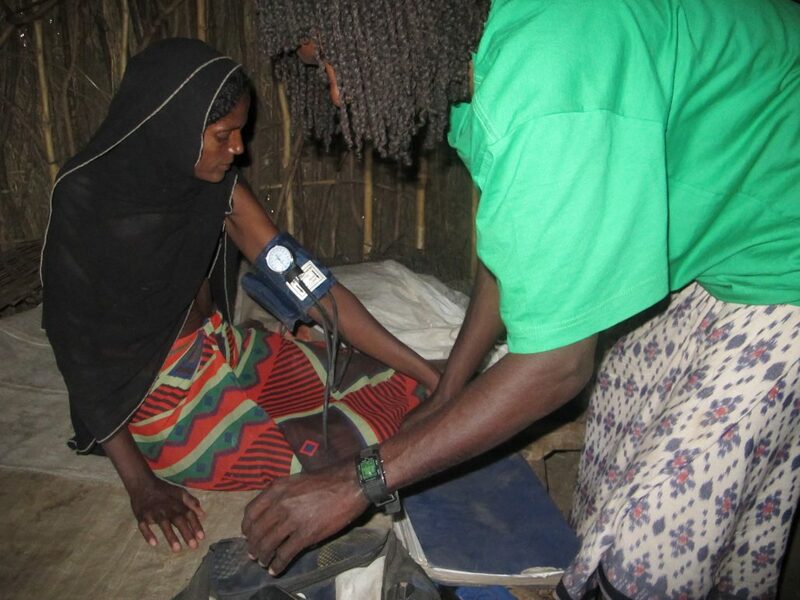 Currently approximately 150,000 persons, many of whom have never had access to any form of medical care before, profit from the selfless devotion of our mobile health workers and our traditional birth attendants, all of whom are members of the various Afar clans. Is your trust interested in making a contribution to our charitable work? Just get in contact with us, we will be pleased to answer all your questions. Your contact person will be Erfried Malle, founder and chairman of SONNE-International.